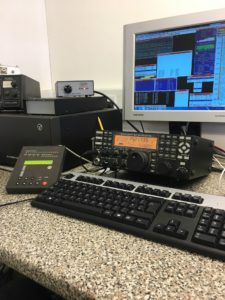 This weekend saw me making another visit to the biggest contest station in England. 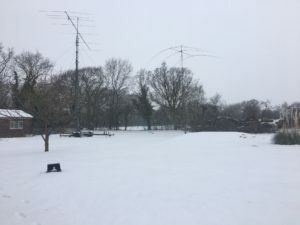 We had planned to do a Multi 2 entry, but due to severe Weather here in the UK and the “Beast from the East” storm some of our ops couldn’t make it. In the end we had to do Multi Single with 3 ops. Our Team was Myself M0SDV, Dave G4BUO and Kieron M0HKB. 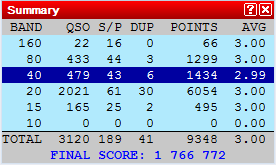 We started out our contest on 40m. For this band we have at our disposal a 3 element full sized Yagi at 65ft high. Again, due to extreme weather we were unable to get the tower to 100ft and conditions were not in our favor. At the beginning there was a reasonable rate of around 1 Q a minute. Whilst this isn’t bad, it isn’t as high as we’d have liked for a good low band score. After a band change to 80m things started to pick up a bit. but as the night progressed on it unexpectedly slowed down. And come mid morning the bands had died. Time for a break. During the morning quiet spell the weather was calm. 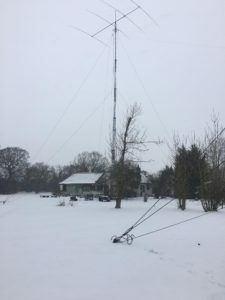 This gave us chance to crank up the 40m beam to full height, and add a T vertical for 160m. Then 20m began to open. It started slow for the first hour or two, as expected as the band started to open. 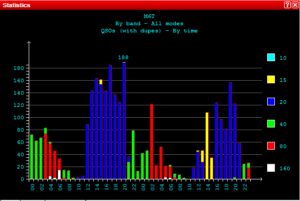 But come 13:00z we had rates of 143 QSO’s per hour. The grew through the afternoon to 188 QSO per hour. And this didn’t slow until after dark when the band died out. Another night on the low bands was very slow, however 80m held a nice size run of W’s at between 01:00z and 02:00z. But it was very slow for the rest of the night. The second day wasn’t much better either. However 15m did open for a little while bringing over 160 QSO’s. 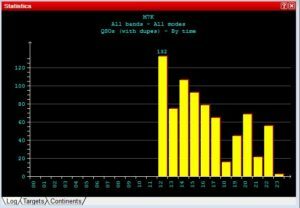 and 20m gave us some nice pile ups of up to 150 QSO’s per hour. The multupliers (Mults) in this contest are US States and Canadian Provinces. As shown in Worked mults to the left and the Summary below, the most Mults were on 20m. We worked 61 States/Provinces. Which is all of them except for Yukon and Northern Territory. The worst band was 160m with only 16 mults. This is expected considering the conditions. 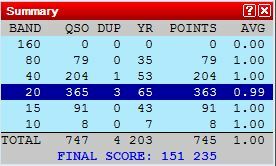 Over all we made 3120 QSO’s with 189 Mults and a score of 1.76 Million. We found that with 3 ops Multi Single is quite enjoyable. Each person gets plenty of chair time (but not too much) and more importantly each operator gets plenty of sleep and is always ready o tale over on the radio should someone require it. Thanks to our small Team for a good weekend, Those who stopped by to offer relief for an hour or two and a Huge Thanks to Brenda and Vernon at M6T for taking good care of us. Roll on the next contest! Are you requesting multiple QSL cards? 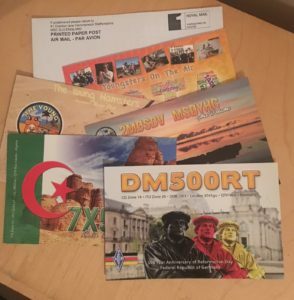 Part of a DX group seeking confirmations or do you and your friends want to save some money and request QSL cards together? 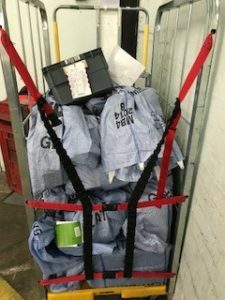 I offer a Multi-QSL service that allows you to request all the QSL cards you want/Need in one big package, and here’s how it works with simple step by step instructions. To get this offer, I ask that all funds sent to me Via Pay pal, in the Multi-QSL offer are in GBP. This offer is only available on the basis of Email requests and Pay pal transfers. If you are sending your request Via Postal mail please Email me for the Multi-QSL Cost in USD. 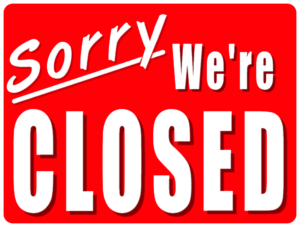 Please NO IRC’s If you request with IRC’s then your QSL will be sent Via the Bureau. 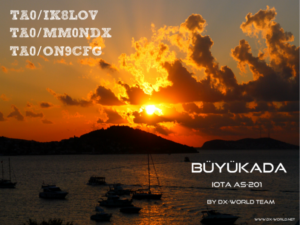 Today it has been confirmed that I will be QSL manager for the DX-World.net teams Inaugural DXpedition. 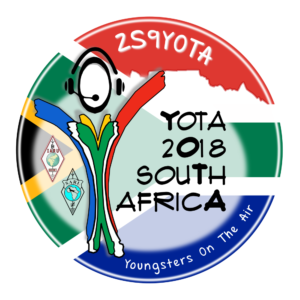 So far it has been confirmed that I will be managing TA0/MM0NDX and TA0/ON9CFG is also interested in using my service. The team will be travelling to AS-201, Buyukada Island in Turkey from 7th – 11th May 2018. 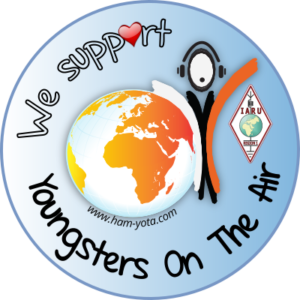 They will be QRV on 80 – 2m Holiday style, with the aim of having fun and working as many DX-World readers as possible.